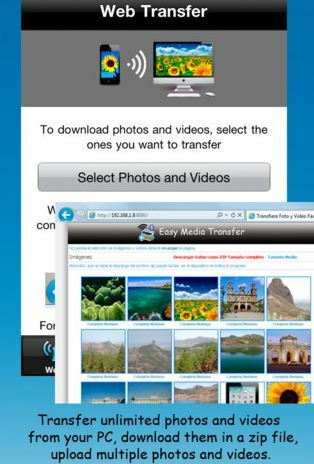 Easy Media Transfer allows you to easily download and upload photos and Videos from your iPhone/iPod or iPad to your computer. Also, exchange photos between iPhone, iPhone or iPod touch, using wifi or bluetooth. And upload and download photos and Videos from Dropbox. Everything to your Photo Library.